Wiitigo comes into play with six +1/+1 counters on it. 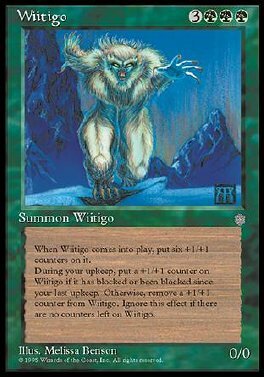 At the beginning of your upkeep, put a +1/+1 counter on Wiitigo if it has blocked or been blocked since your last upkeep. Otherwise, remove a +1/+1 counter from it.